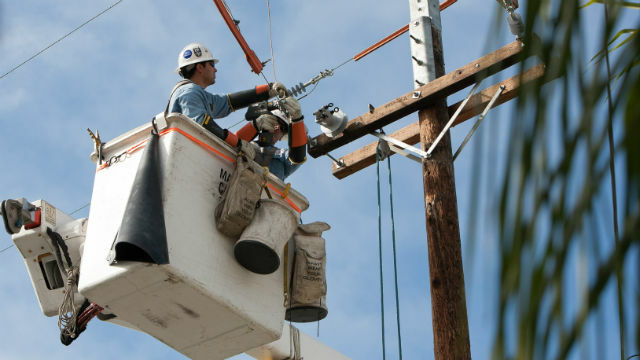 San Diego Gas & Electric and a Florida utility were named the two most reliable electric utilities in the Untied States by a respected consulting firm. SDG&E and Florida Power & Light each received the 2018 National Reliability Award for superior performance among utilities in America from PA Consulting, a London-based global consulting firm. “Most U.S. utilities encountered difficult weather situations last year. Hurricanes Harvey, Irma, and Maria lashed at utility grids while destructive wildfires and floods hit California. Yet our winners, hailing from both coasts, created resilient and safe grids that were able to stand up to environmental challenges,” the consulting group said in making the awards. SDG&E also received the Regional Reliability Award for the west for the 13th consecutive year, and the Outstanding Technology and Innovation award for the second year in a row. The awards were announced Wednesday night at an electric industry event in Scottsdale, AZ. “We are continuing to improve, modernize and upgrade the electric grid to ensure that the communities we serve have clean, safe and reliable energy for generations to come,” she added. The ReliabilityOn Awards are given annually to utilities in six regions that have excelled in delivering the most reliable electric service to their customers.